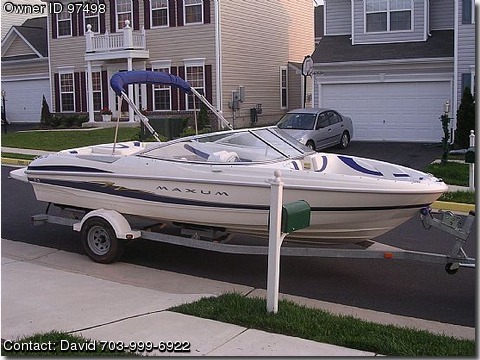 Please contact the owner directly @ 703-999-6922 or lisanchili@gmail.com...2004 Maxum 20', Model 2000 runabout with trailer and 2' swim board for sitting or standing on back of boat with ladder. Fiberglass reinforced, and 4.3 Mercruiser OI engine with only 85 hours. Equipped with bimini top, two piece snap boat cover, and radio. Used for family fun and fishing. Great for pulling inner tube or water skiing.